First off, thank you everyone for all your retweets and shares and support for MJ-12: Endgame this week. I’m deeply appreciative of all my friends, colleagues and fans who took the time to spread the word. Y’all are awesome. I have two guest posts going today, both of which take different hacks at the genesis of MJ-12: Endgame. First, at John Scalzi’s Whatever, I got to discuss the Big Idea behind the book and, really, the whole MAJESTIC-12 series. I won’t spoil it here, because I want you to click on over and read, and buy some Scalzi books while you’re at it. But I really think the post gets to the core of what I’m trying to do with the series. It’s also worth noting that MJ-12: Endgame‘s release warranted a mention over at the Barnes & Noble Sci-Fi Fantasy blog, as well as at Locus Magazine’s site. 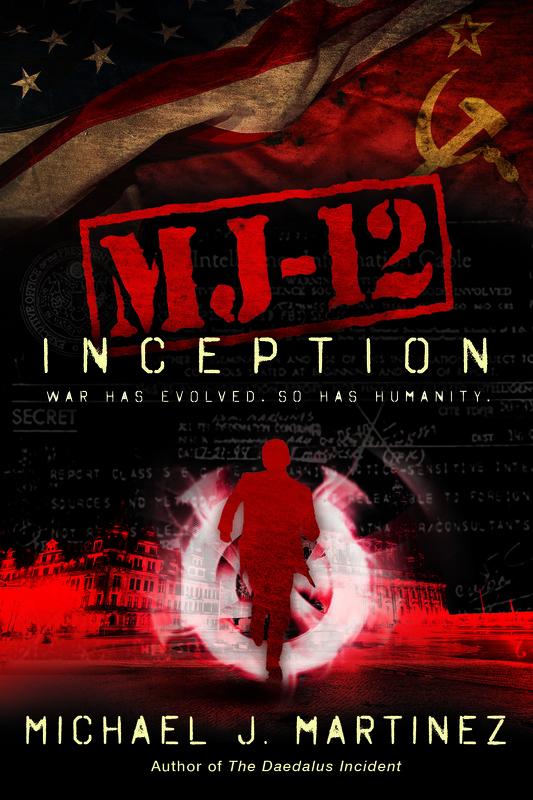 Finally, I would point you to a five-tweet take on MJ-12: Endgame by one of my favorite reviewers, Paul Weimer. My thanks to John, Chuck, Paul and everyone else for all the support. And in the spirit of paying it forward, you’ll see on the lower right on this page that I also offer guest posts to creative folks to talk about their work on my site. I can’t give you the kind of traffic that Whatever and Terribleminds gets, but I hope I can help. 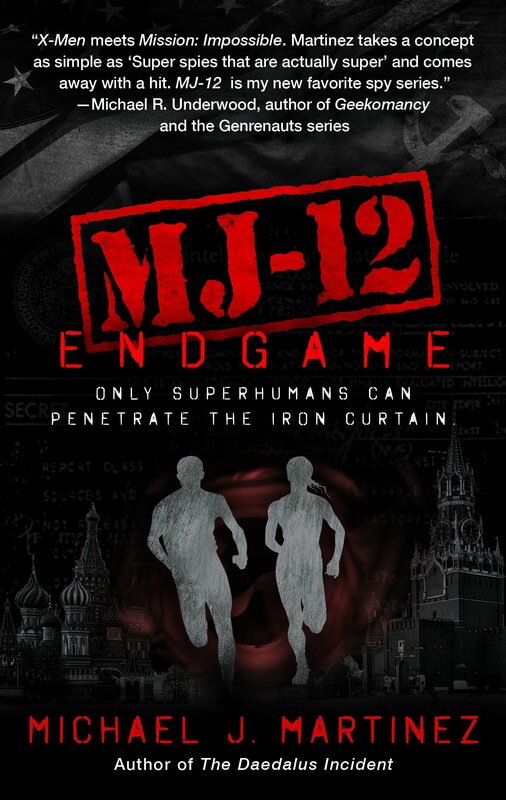 And as a reminder, MJ-12: Endgame is available in mass-market paperback and ebook from Amazon, Barnes & Noble, Books-A-Million, Kobo Books, iTunes, Google Play, and through your favorite neighborhood independent booksellers through Indie Bound! You know, if it wasn’t for the Skiffy & Fanty podcast, I’d be watching a much better class of movies. But that said, it’s always fun to go on the podcast and obliterate a particularly egregious example of the cinematic arts. And this time, Jen Zink and Paul Weimer had me on to discuss Battle Beyond the Stars, which somehow roped Robert Vaughn and George Peppard into a horrible Seven Samurai knockoff set in space. I won’t ruin the fun for you, because we really had a good time putting this movie out of our misery. (Not a typo, that.) The Skiffy & Fanty crew are always a joy to geek out with; my thanks to them for having me on again, though perhaps not for choosing this particular film. You can check out the podcast page here, complete with embedded MP3, or download it from the podcast purveyor of your choice. And if you happen to have 100 minutes of your life to waste…go pre-order MJ-12: Shadows if you haven’t already. But once you do that, you can watch the entire movie below, because nobody cared about the intellectual property rights to this one, apparently. Some news on the MAJESTIC-12 books: Launch dates, formats and more! The pre-order pages are up and running, so it’s high time I updated folks on the next iterations of the MAJESTIC-12 books. And I’m really pleased with the direction we’re going. 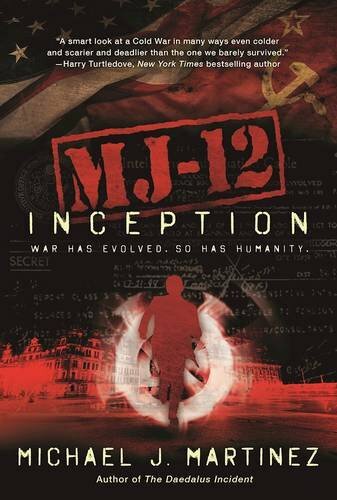 First off, the mass-market paperback of MJ-12: Inception is scheduled to drop on June 6! And it’ll include a nice little excerpt from the second book in the series, MJ-12: Shadows. And of course, it’ll be far cheaper than the hardcover — like two-thirds or more cheaper — and I expect the e-book price to likewise fall. So that’s cool. 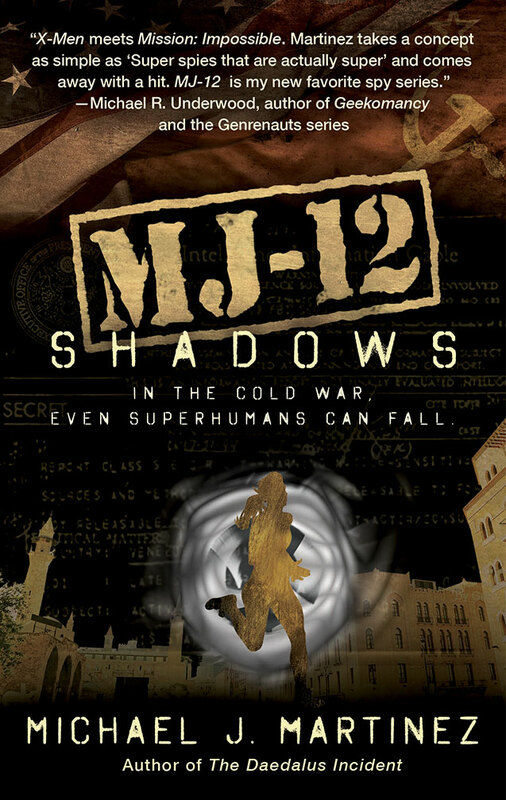 And then MJ-12: Shadows is out September 5! 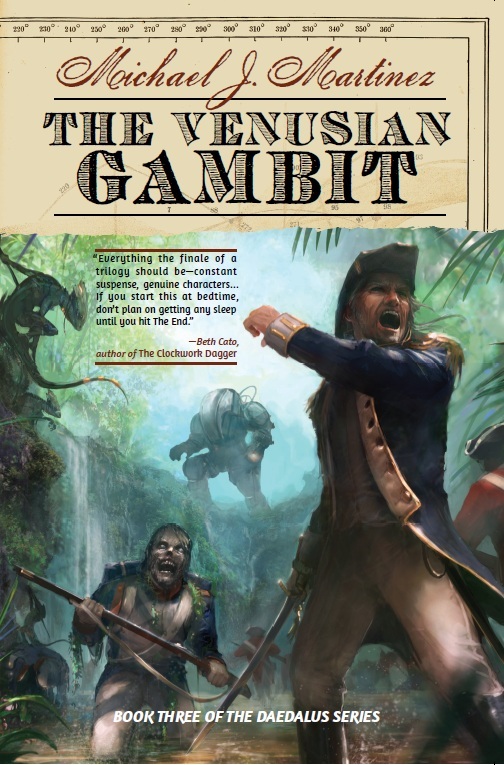 And that, too, is coming out in mass-market paperback, which I think is pretty awesome since it’ll be much more affordable. I’m doing an AMA on r/Fantasy today. Ask me anything! Today I’m over at Reddit r/Fantasy doing an Ask-Me-Anything. If you have questions about MJ-12: Inception, the Daedalus trilogy, short stories, writing, publishing, beer or whatever, this is the place to go. And as I did last year, I’m offering beer pairings for whatever you’re reading. Got a book and feeling thirsty? I’ll suggest a new beer for you to try as you read. You need to be a registered Reddit user to post questions, but it’s super-easy to do, and r/Fantasy is a very cool community of readers, so you should totally do it. Looking forward to your questions! UPDATE: AMA was a hoot. Thanks everyone for the questions! 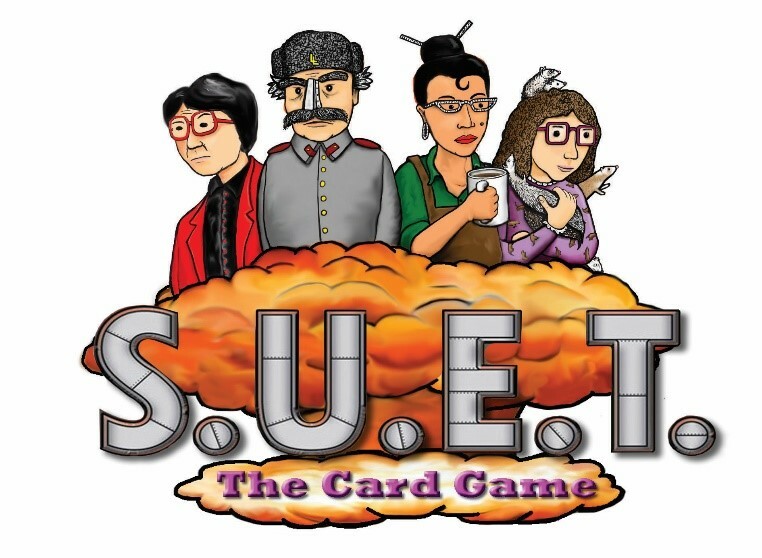 Guest Post: John LeMaire on SUET the Card Game! It gives me great personal pleasure to introduce John LeMaire, an old friend of mine from back in the day. John’s an excellent artist, an avid gamer and a Good Person. We wiled away many an evening playing a variety of games back in college, and now he’s Kickstarting his very own game, SUET the Card Game. Since I know John — and more importantly, I know what his devious mind is capable of — I backed that sucker. I can’t wait to play it, and I think many of you out there would enjoy it as well. So I invited him here to tell you all about SUET and the Evil Genius Goodness it contains. You can also click on each image to get a better look at the art and cards. 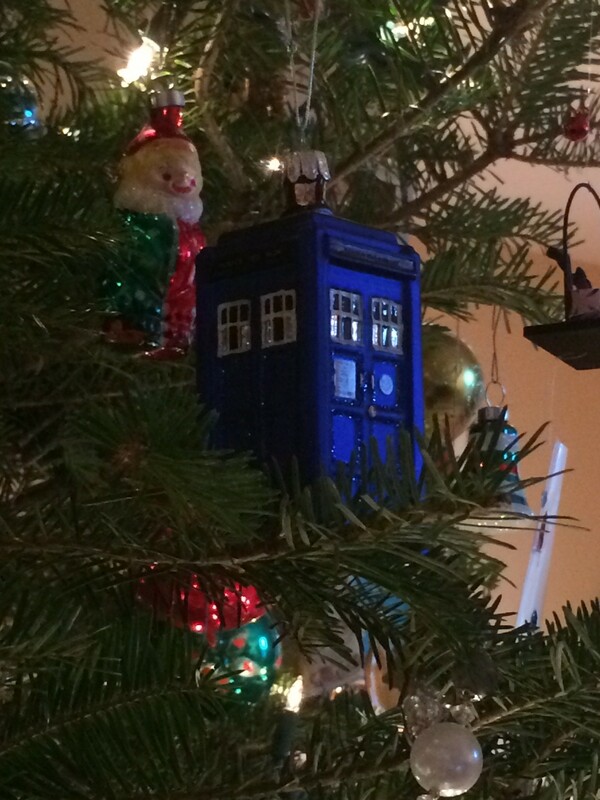 Just a quick note here to wish everyone a Merry Christmas, or alternatively, a pleasant winter holiday and a restful end to 2014. This year, we’re doing a quiet Christmas at home, followed by a weekend up in the Catskills to enjoy a bit of nature and recharge the batteries. Whatever you’re up to, I hope you enjoy the heck out of it, and I urge you to spare a thought (and ideally some money and/or time) for the less fortunate as well. Have a wonderful holiday!